ASM 9.1 provides new, crucial functions for the development of autonomous and electric vehicles. Is it possible to test-drive the steering behavior of a vehicle realistically under laboratory conditions? It is. With a suitable mechatronic test rig. This is exactly what the Dr. Ing. h.c. F. Porsche AG did, efficiently optimizing the behavior of new steering systems already in early development phases. Developing modern driver assistance systems involves an ever-growing amount of data which must be processed in real time. Hyundai MOBIS uses a HIL setup that is based on dSPACE SCALEXIO and can develop and test multiple driver assistance systems at the same time. One thing is for certain: If you start a large high-performance gas engine with a suitable generator, you are the best-motorized employee on site – at an electric power of up to 4,500 kW. Such powerful machines are used primarily for the stationary generation of energy and heat. Caterpillar Energy Solutions developed an entirely new control to ensure that future energy plants remain effi cient, dynamic, and maintenance-friendly. 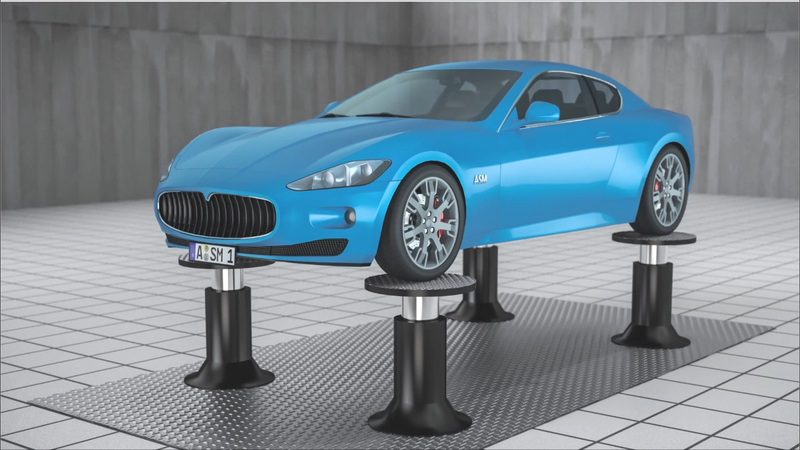 Well-coordinated tools for simulation, testing and visualization are indispensable in validating modern driver assistance systems. 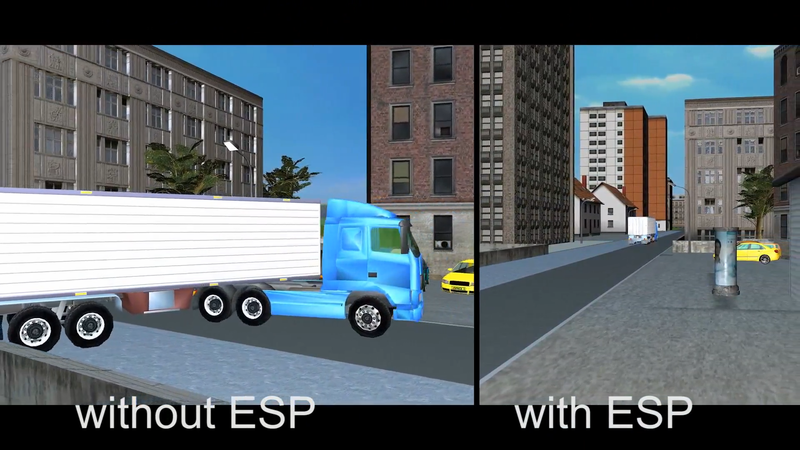 Developers need a quick, easy way to model the properties of the vehicle under test, as well as road networks, traffic and electronic control units (ECUs), and to visualize driving maneuvers realistically. Together, the Automotive Simulation Models (ASMs), ModelDesk and MotionDesk from dSPACE form a perfectly coordinated tool chain. This paper presents a method for designing and tuning suspensions purposefully and quickly with the help of vehicle dynamics simulation. 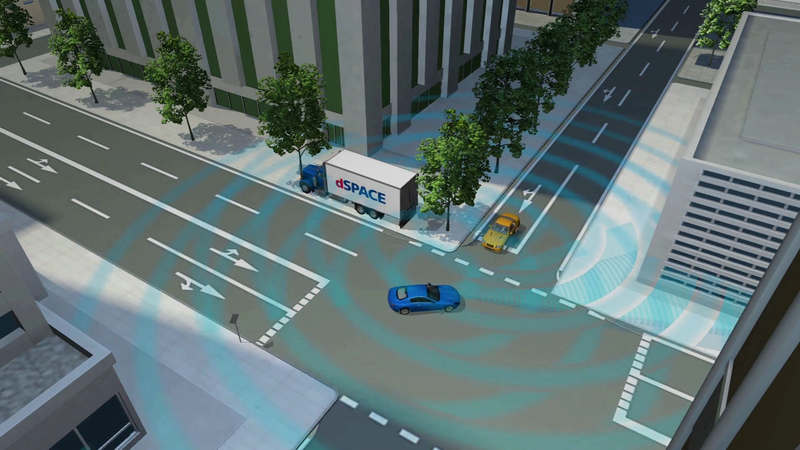 The method is based on the Automotive Simulation Models (ASMs) from dSPACE, which have been extended for this use case. The ASMs support design engineers through all phases, from creating a virtual prototype up to close-to-production fine tuning during the test phase. This paper describes the necessary properties of the vehicle dynamics model that go beyond the functional scope of common handling models. At Daimler AG, the ASMs accompany the development during test drives, both for the pure vehicle dynamics design of the vehicle and for coupling the vehicle dynamics control systems to hardware-in-the-loop (HIL) systems. 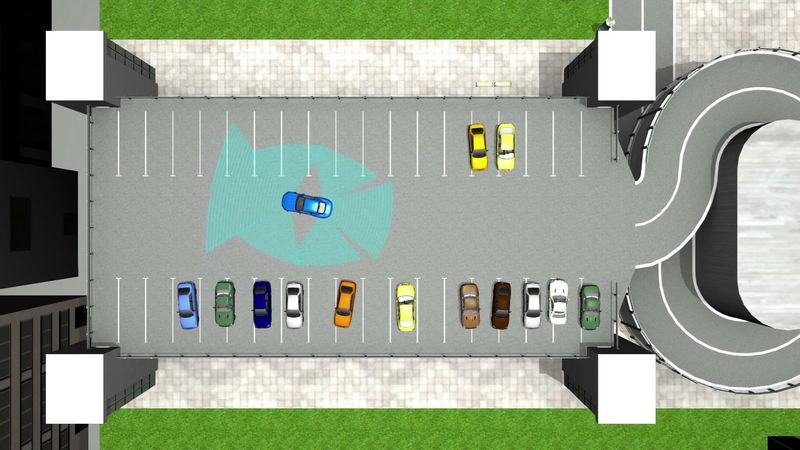 Validate parking assistant systems with the dSPACE tool chain. Foggy weather conditions. The radar sensor detects a potential collision. Autonomous emergency braking (AEB) is initiated. The ASMs are a tool suite which consists of simulation models for automotive applications that can be combined as needed. The models support a wide spectrum of simulations, starting with individual components like combustion engines or electric motors, to vehicle dynamics systems, up to complex virtual traffic scenarios. The models can be handled easily and intuitively with ModelDesk, the graphical user interface. The implementation of each model is open and traceable right down to the Simulink basic block level, so it is easy to supplement or replace components with customer-specific models. This means that the properties of each model can be optimally adapted to individual projects. The standardized interfaces of the ASMs make it easy to extend models and even create entire virtual vehicles. Road networks and traffic maneuvers can be easily and intuitively created using graphical parameterization tools with preview and clear visualization. The ASM engine models are ideal for developing and testing engine and exhaust gas aftertreatment ECUs. They simulate a combustion engine, including all the necessary components, as a controlled system for the ECUs. There are models for diesel and gasoline engines with different injection systems and exhaust gas aftertreatment systems. The real-time simulations can be performed with mean-value models or with physical models. The ASM Vehicle Dynamics Model is an excellent basis for developing and testing vehicle dynamics ECUs, such as ESP, steering and active damping ECUs. They are ideal for vehicle dynamics investigations in early development phases. Models for passenger vehicles, trucks and trailers are available. A user interface lets users configure the vehicles and define maneuvers and roads graphically. Vehicle electrical systems, electric drives and inverters, as well as starter batteries and high-voltage batteries, are all virtualized precisely by the simulation model for electric components. The model supports tasks such as developing and testing hybrid ECUs, battery management systems and indicator light controls. Users can parameterize the modeled components graphically to fit the real controlled system exactly. A comprehensive traffic model with road users and environmental objects is available for developing and testing driver assistance systems. 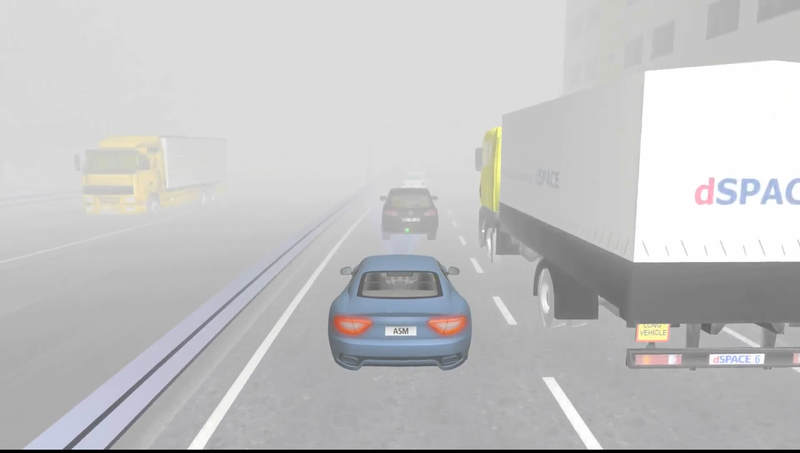 The various sensor models in the simulated test vehicle detect the other road users and also the static and dynamic objects in the virtual environment. The traffic scenarios and the environment are easily defined graphically. To offer the best possible support for customer-specific requirements, dSPACE has chosen an open model concept. You can view the models right down to the level of standard Simulink blocks. The dSPACE Automotive Simulation Models therefore provide enormous flexibility for projects that require dedicated simulation models. The open model approach allows perfect adaptation to individual projects and requirements. This is done by modifying models or by replacing and adding modeled components. dSPACE Automotive Simulation Models are a collection of well-coordinated models that you can easily combine to build anything from extended models to a whole virtual vehicle. In addition to gasoline and diesel engines, there are models for vehicle dynamics and brake hydraulics, electric systems, and traffic. Combined models work together in one simulation. The tool suite ASM can be used in combination with real controllers in a hardware-in-the-loop environment (HIL or online mode), or for model-in-the-loop simulations (PC or offline mode). The same model configurations and parameters can be used seamlessly throughout all the steps from function development to ECU testing. ASM supports real-time code generation via The MathWork’s Real-Time Workshop® and dSPACE’s RTI for online simulation on a dSPACE real-time system. ModelDesk Graphical user interface for parameterization, management, and simulation ASM Combustion Engine Models Real-time models for diesel and gasoline engine simulation ASM Vehicle Dynamics Real-time models for ground vehicle simulation ASM Electric Components Real-time models for automotive electric system and drive simulation ASM Traffic Real-time model for traffic and environment simulation VEOS Platform for PC-based simulation Simulator Hardware Hardware-in-the-loop simulators and simulator-specific hardware for ECU testing. ASM Products Get an overview of all models of the tool suite ASM.